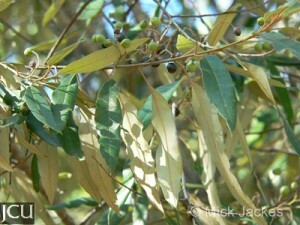 bush soap – the leaves of any of several Australian plants that may be used as a soap substitute. When rubbed vigorously with water, the leaves produce a soap-like lather thanks to the chemical compounds (saponins) they contain. One of the best-known of these plants is the red ash, Alphitonia excelsa, also known as the ‘soap tree’. The first evidence of this meaning of bush soap occurs in the early 1990s. courtsiding – a sports betting scam, in which a person at a sporting event illegally transmits information about the progress of the game to an outside party, in order to gain an unfair betting advantage. The first evidence for this term appears in the context of the 2014 Australian Open tennis tournament held in Melbourne in January, during which a young British man was discovered courtsiding. He became the first person in Victoria to be arrested under new legislation aimed at curbing sports corruption and match fixing. coward punch (also coward’s punch) – a knock-out punch or blow; an unfair punch, especially an unexpected punch from behind. Coward punches are associated with alcohol-fueled violence in inner-city environments. This term has come to prominence in recent months with a number of incidents in Sydney leading to serious injury and death. The common Australian term for a heavy blow or knockout punch is ‘king hit’, but this is considered by some to be an inappropriate term for a blow that leads to death or permanent injury. 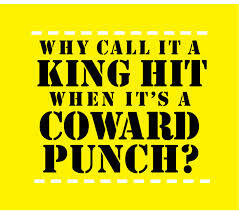 Coward punch has been proposed as a more accurate descriptor. There is evidence for this term from 2012.
neknomination (also necknomination) – an online drinking game in which one person nominates another to consume alcohol and perform an activity (often foolish or risky). Images or video of these activities are posted online, and act as a challenge to others to perform other risky feats. This latest online/social media craze emerged in 2013, and according to a number of sources it originated in Perth, Australia. The ‘neck’ element of this word means ‘drink or eat greedily; swallow or gulp down’, and dates back to the early sixteenth century. neurolaw – a field of study concerned with the intersection of neuroscience and the law, especially in regard to legal issues such as personal responsibility in cases where a defendant may suffer from brain injury, brain disease or malfunction. Evidence for this term can be found from the mid-1990s. pap – (of a freelance photographer) to photograph without permission. This is an abbreviation of Italian ‘paparazzo’ (plural form ‘paparazzi’), a freelance photographer who intrusively pursues celebrities to obtain images of them, especially of a sensational nature. The word ‘paparazzo’ derives from the name of a character (a photographer) in a film by Federico Fellini, ‘La Dolce Vita’ (1960). 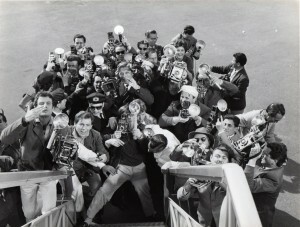 For celebrities, being papped is now part of the job description. Evidence for this term dates back to the mid-1990s. tripod – a kangaroo. This alludes to the way a kangaroo balances upright on three points: two legs and a tail. References to kangaroos resting or balancing ‘on their tripod’ can be found from the first half of the nineteenth century and continue into the twentieth. Evidence for tripod as a synonym for ‘kangaroo’ occurs from the 1860s, but by the mid-1930s it appears to have become obsolete. tweople – people who post on, and follow, the social media site Twitter. 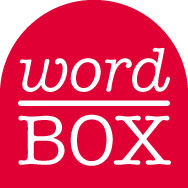 This word is a blend of ‘Twitter’ and ‘people’. It has been around for at least five years and is part of the social networking phenomenon that is Twitter. This site has generated widely-known terms including ‘tweet’ (a posting on Twitter), and the synonyms ‘Twittersphere’ and ‘Twitterverse’ (the online community of Twitter; postings made on Twitter, considered collectively). This entry was posted in definition, new words, popular culture, urban Australia, Word Box and tagged bush soap, courtsiding, coward punch, coward's punch, Facebookian, king hit, necknominate, necknomination, neknominate, neknomination, neurolaw, pap, papped, tweet, tweople, twitter, Twittersphere, Twitterverse by Mark Gwynn. Bookmark the permalink.